The UC Bearcats are likely to be the only team in college football next year with a former coach in the starting lineup. When fifth-year senior cornerback Adrian Witty suffered a significant groin injury in the season opener last year, it appeared his career was over. So to remain part of the team, Witty became an unofficial member of the coaching staff. As it turned out, Witty’s injury was not career-ending. He’s been granted a sixth year of eligibility by the NCAA after suffering separate season-ending injuries in 2010 and 2014. “God blessed me with another season,” said Witty. The speedy Floridian is Cincinnati’s most experienced defensive back, having played cornerback, safety, and nickel in 41 career games. Now he has the added knowledge from having spent a season on the coaching staff. 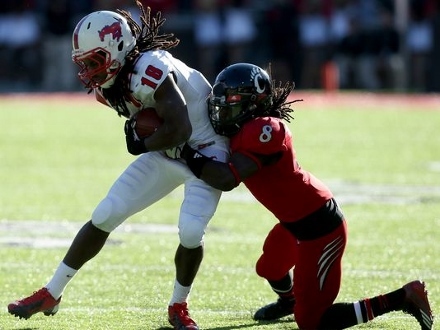 Adrian has been successful on and off the field at Cincinnati. He’s already earned a bachelor’s degree in criminal justice and is working toward a master’s degree in health education. 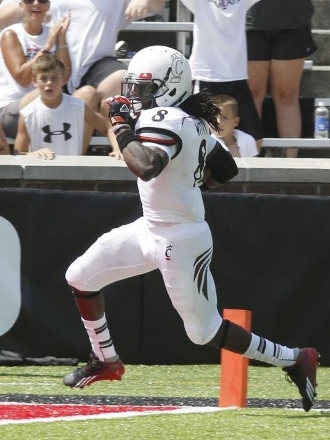 “He was elected one of our team captains last week and it was an obvious choice,” said Tuberville. And the former coach is looking forward to playing again.